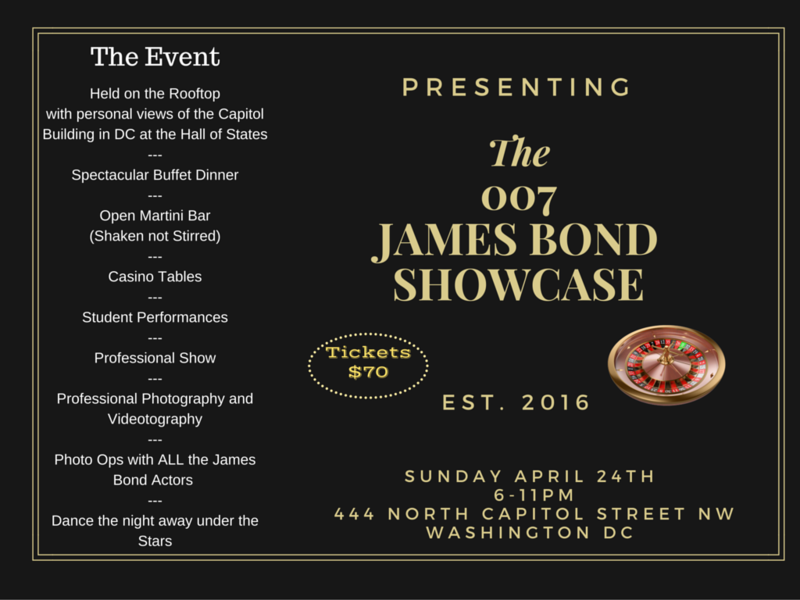 Welcome to our first ever James Bond themed showcase night event, hosted by the Fred Astaire Dance Studio in Reston. Join us for a fantastic night on the rooftop of 444 N. Capitol Street NW, In Washington DC. On April 24th. We will be have a spectacular buffet dinner, open martini bar, casino tables, student and instructor performances and a professional video and photography crew to capture it all. Make sure your there as this will be a night to remember!